I was concerned going into Hook & Ladder Manufacturing Co. for lunch today. Before the start of the Great Sacramento Vegan Burger Battle, the Impossible Burger at Hook & Ladder was my very favorite burger in town. The Jule’s cheese sauce, sautéed mushrooms, and especially the whole grain mustard really made that burger, and I seemed to be in there every week to get my burger fix. So I was worried that I wouldn’t like burger they’d created for this month’s burger battle. It couldn’t possibly be as good as the other one, could it? The answer is yes, it could and it is. 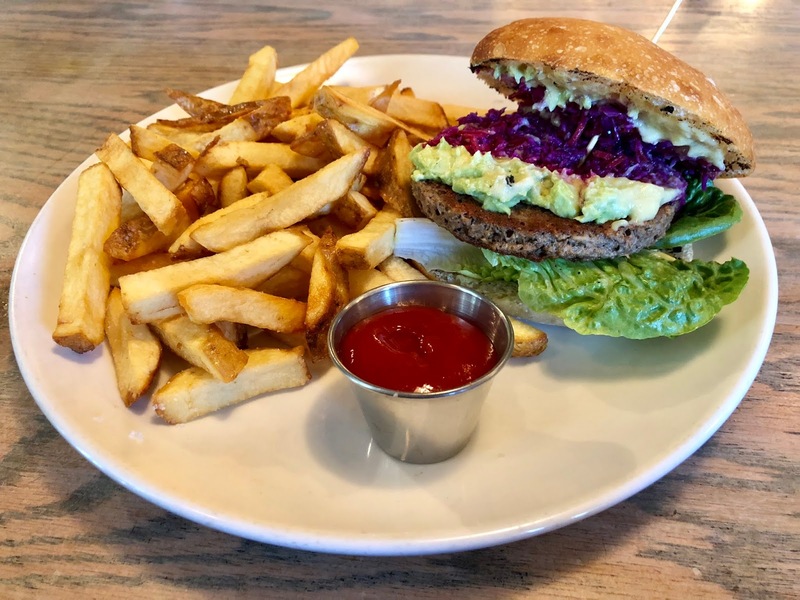 The patty is still the Impossible Burger, but the other goodies on the bun are vegan mayo, pickled red cabbage, and smashed avocado. If you’d like a little heat with your burger, you can add pickled Fresno chilies for a dollar. I wasn’t that brave, but the burger didn’t need them. It was fabulous without the chilies.